With online shopping even Christmas day is a shopping day. For those who were hoping to get an iPad for Christmas but didn’t or if you saw family/friends with one and said “I want one”, this may be your chance. 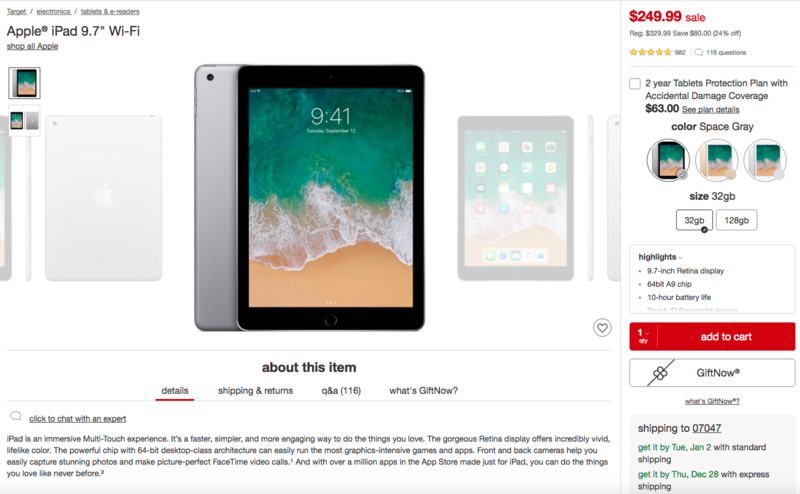 iPad 9.7 WiFi On Sale @ Target. The Apple iPad 9.7″ wifi model for $249.99 (Usually priced at $329.99). For the price you get the 32gb model.